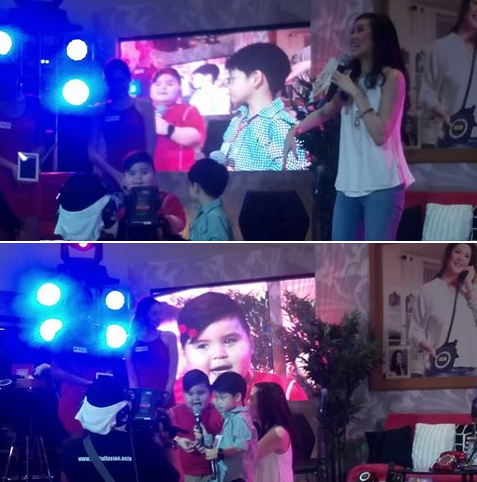 Eat Bulaga's cutie, Sebastian Benedict, loves his fair share of gadgets and his number one choice is the Smart Watch! The Smart Watch from PLDT Home can be used for taking photos, playing music, or even recording sounds, music plus funny messages. Bae-by Batse's whole family are all in on the Smart Watch craze. Papa Sol, Mama Sheila as well as brother Sam-Sam, love how it can be used as a WiFi remote for the Telpad or smart phone cameras to take selfies or family groupies easier. The anti-lost feature is another cool feature they love as it let's them know if their kid is too far away from the connected Telpad or smart phone. The Smart Watch has a button that sounds off the connected device to locate it, making it handy for kids who can't help but be their usual carefree selves. With the Smart Watch, there is no downtime when it comes to fun and bonding wherever Bae-by Baste is! It definitely makes him one of the coolest kid on the block! 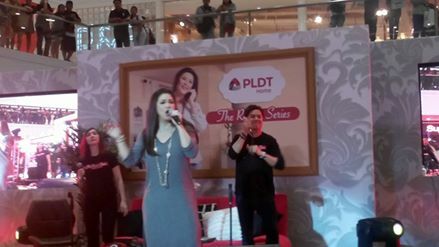 Ms. Regine Velasquez held her SM Megamall Mall Tour last Sunday as part of PLDT HOME’s the Regine Series. As PLDT's ambassador for its latest landline campaign, she showcased her vocal prowess on stage. 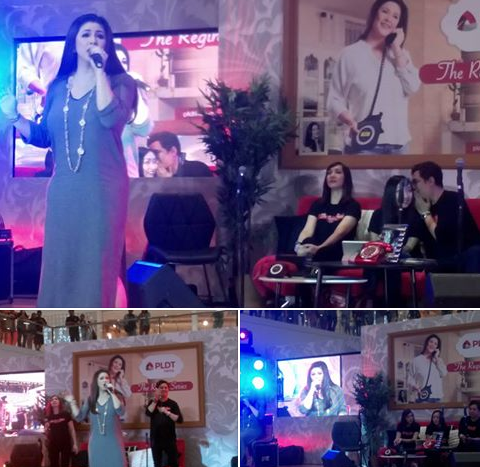 Do check out the limited edition landline units, dubbed The Regine Series, hor as low as P 99 per month. PLDT’s Telpad and Smart Watch are now available to complement these new landline offers.PLDT Home subscribers who upgrade to a Telpad plan automatically get a free 1Mbps Home DSL speed boost. They can top up with a Smart Watch for an additional P 199 per month. Existing Telpad subscribers may also avail of the Smart Watch by simply ordering it online and it will be delivered for free. Do visit pldthome.com/Telpad/smart watch for more information.